Do you know what “walking tour” is? It’s a joruney. No catching trains, no check in, no airport control. You simply walk, calmly, discovering new worlds, art and stories told by wonderful voices. Downloading OpenCity App, you can also find contents following your interests and your passions. 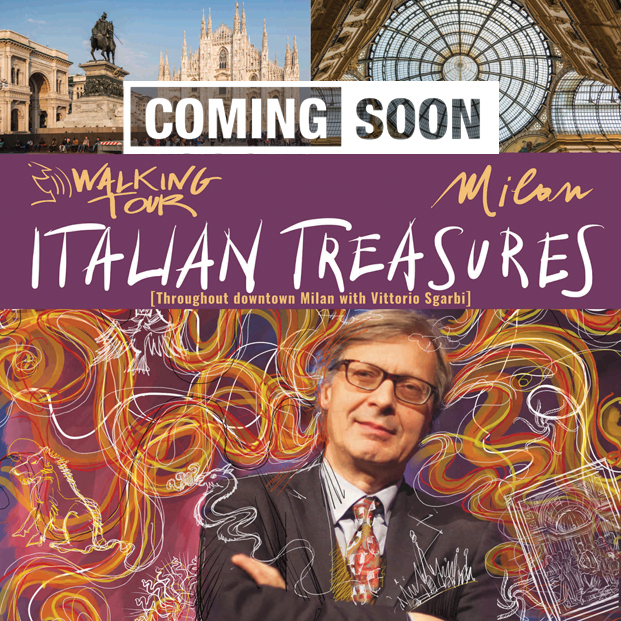 Every walking tour is told by an expert: the art walking tour, for example, is by Vittorio Sgarbi, the photo walking tour is told by Fulvio Bugani, professional photographer and Leica ambassador in Italy and so on. The right hands to know something new. Traditional themas following original ones: green architecure, food, vogue. Milan has many fashionable souls. You can discover them all with our walking tour. You can also hear our walking tour on your sofa, closing your eyes and image. As you prefer. Thematic tours to freely visit the city, according to your passions and interests, thanks to recommendations, hints and passionate descriptions of famous experts. What would you like more?